This is the official submissions page for the Primary Care Challenge. To submit your idea, please fill out and post your idea below. All physicians and medical students of all specialties are welcome to enter! We don't care how big or small you think your primary care innovation is. It can be as simple as creating a new way for patients to ask questions, patient group educational sessions, or having a case manager in the office. It can be as sophisticated as a totally new way to practice primary care. All ideals are amazing! Please share! Thank you for taking part in Primary Care Challenge (the “Contest”)! By participating in the Contest, you are agreeing to these rules, terms and conditions so please take a few minutes to read them over. In this agreement, the first-person plural pronouns “We”, “Us”, “Our”, “Ours”, etc. refer to Medical Networking, Inc., 250 Kendall St. 17th Floor, Cambridge, Massachusetts 02142, USA. 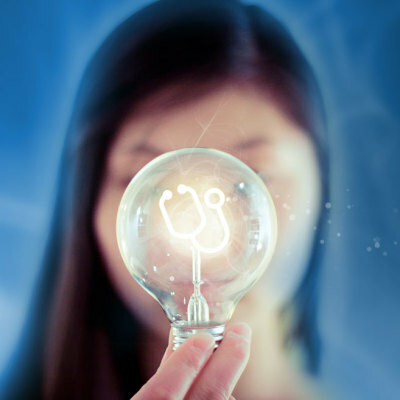 The purpose of the Primary Care Challenge is to provide an opportunity for any physician or medical student to submit ideas about how they are innovating to improve primary care. To accomplish this, we have provided resources on this website including videos, images, text and a secure form for submitting your ideas. By submitting your idea on the contest submissions page, you acknowledge that you have read and understood the terms and conditions of this Agreement and that you agree to be bound by all of its provisions. The same holds true if you submit your idea by any other means (such as email, written letter, etc.). You promise that you will use this site in good faith, will use your real name and only provide accurate information to the Primary Care Challenge. You will not violate any rights of Medical Networking, Inc. or any third party, including intellectual property rights such as copyright or trademark rights. You are responsible to provide at your cost all equipment, software, mobile access, and internet access necessary to participate in the Contest. You will not post or submit any material that is inappropriate, offensive, profane, pornographic, racist, bigoted, harassing or intended to cause insult or anguish in others. If your actions cause any losses to us, either directly or indirectly, you agree to pay all damages, losses and costs incurred as a result. This could include any claims brought against us by third parties as a result of your actions. You will not use this site in the commission of any crime. You will not advertise, tell directly or imply indirectly to anyone that you are affiliated with or endorsed by us, Medstro, MedTech Boston, any of the Contest sponsors or the Contest itself. You will also not use any of our logos or trademarks without our permission. We may amend this Agreement from time to time with or without advance notice by posting an amended version on this website. We will make best efforts to notify you of the changes if we have your contact details, however whether or not we notify you of the changes you are still bound by the amended agreement, so check back here from time to time to see if the “Revised” date above has changed. Once you submit your information to the website, it immediately becomes public for anyone on the Internet to view. If you want us to delete the information after it has been posted, we will consider your request but we are under no obligation to grant your request. We have the sole and final discretion whether or not to delete your information. We may, at our sole discretion, for any reason or for no reason, and at any time, remove your information from the website. You acknowledge that you have no rights to seek any damages or any other compensation in the event that we delete your information. As mentioned, we will provide notifications to you via this website. We will also try to contact you by email with important notifications if we have your email address. However, since email delivery is not foolproof, always check this site periodically for any important notices. You agree to release us completely and in perpetuity from any liability to you for any damages, direct or indirect, whether by our negligence, action or omission of action, that you may incur related to this Agreement, your participation in the Contest or your use of this website. Where local law doesn’t allow this, then you agree that our liability to you is limited to the lowest amount allowable by local law. The Contest is sponsored by several organizations and companies (the "Sponsors") who are listed on the contest sponsorship page. You agree to release all of these Sponsors completely and in perpetuity from any liability to you for any damages, direct or indirect, whether by the Sponsors' negligence, action or omission of action, that you may incur related to this Agreement, your participation in the Contest or your use of this website. Where local law doesn’t allow this, then you agree that the Sponsors' liability to you is limited to the lowest amount allowable by local law. You can terminate this agreement any time by written notice to us. We can terminate this agreement at any time by written notice to you. If you continue to use this website after termination, then you are agreeing to the reinstatement of this Agreement and you will be bound by all its terms and conditions. We do not guarantee that this website will be available and accessible all the time. You agree that you have no right to any damages for any losses you incur directly or indirectly as a result of inavailability of this website. If either of us have a dispute that we cannot resolve by mutual good-faith negotiation, we both agree to the sole jurisdiction of the courts of the Commonwealth of Massachusetts in any legal dispute. Neither Party shall be liable for delays or failure to meet its obligations pursuant to this Agreement due to causes beyond the Party’s reasonable control, provided, however, the foregoing shall not apply to a Party’s payment obligations. You waive your rights to try to stop Medical Networking, Inc., but we don’t waive our rights to ask a court to stop your actions.